In this article, I am going to share my tips & tricks for making realistic honey with Phoenix FD. Finding a photo-realistic model is very difficult. Even you have a budget to purchase from the online shop doesn't guaranty you get the right 3D model for the project. So I decided to model it by myself. I found a handy tool from Scriptspot - Honeycomb, a maxscript by Anubis. 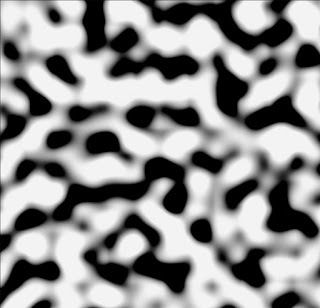 This script allows you to generate a honeycomb shape with just one button. 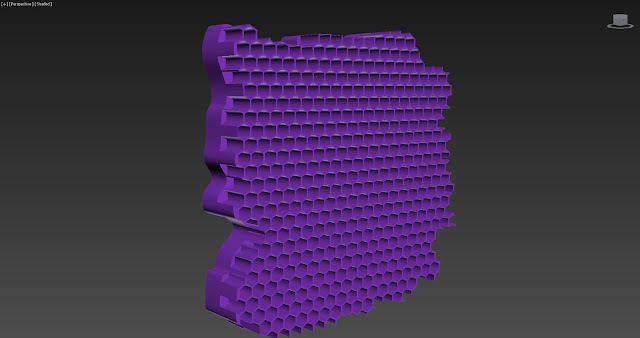 After some extrusion, boolean cut, I got this rigid, artificial looking honeycomb. I will use this as a base and transform it into an "organic" model. The model above was sculpted digitally with Autodesk Mudbox. Now my honeycomb model is ready! 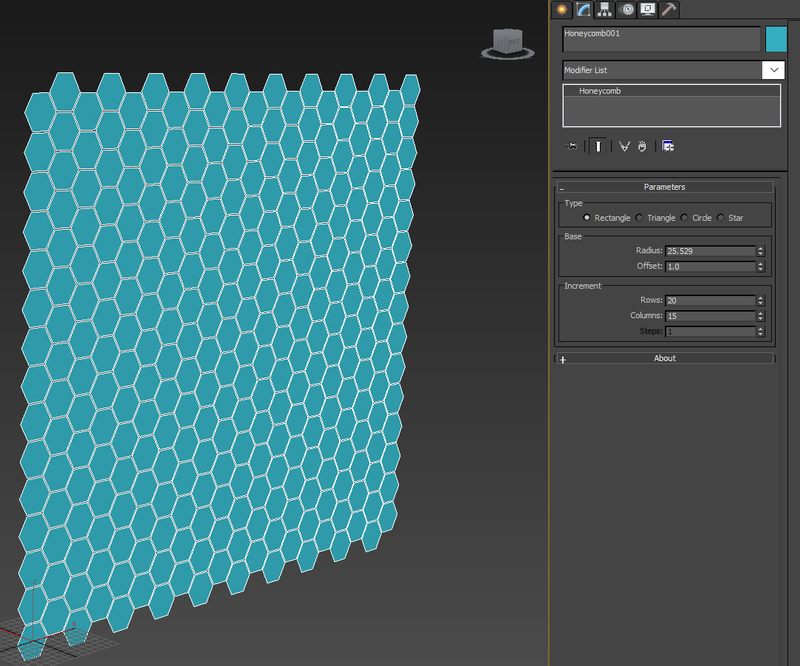 Because the 3D model of honeycomb is cumbersome, so it's better to work with simple primitive first. 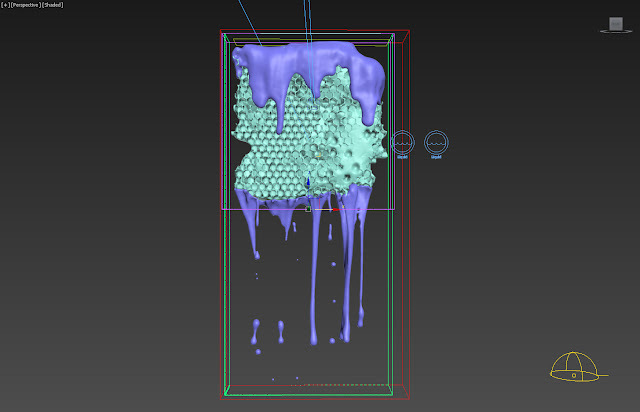 Once we got the right settings for simulation, we can use the high-resolution 3D model. Here I used a simple plane as the liquid source (size around 127 X 26 cm). Beware that Phoenix FD doesn't like geometry without thickness, if you're having trouble emitting liquid from a simple plane, adding a shell modifier to it should fix the issue. In this case, no thickness is fine. The key is to put a Stucco texture as LiquidSrc's mask. This is how the stucco texture looks like. 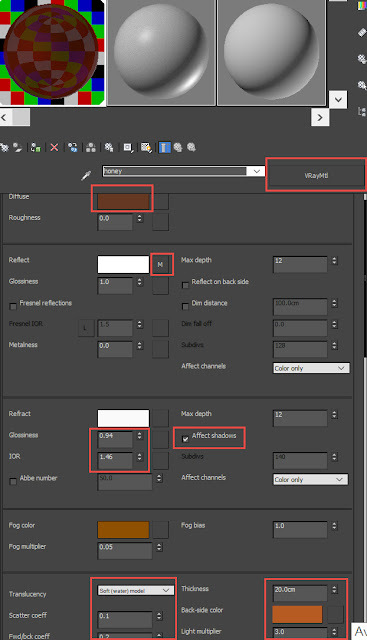 Those are settings for the Grid and Dynamics. Noted the Viscosity and Surface Tension play important rules when simulating realistic viscous liquid like honey. Once we are happy with the results, let's move on to the next stage. First of all, I manually selected part of the honeycomb - top portion and bottom, clone and detach them. In the image above, I moved the two meshes aside for illustration purpose (so you can see them better). 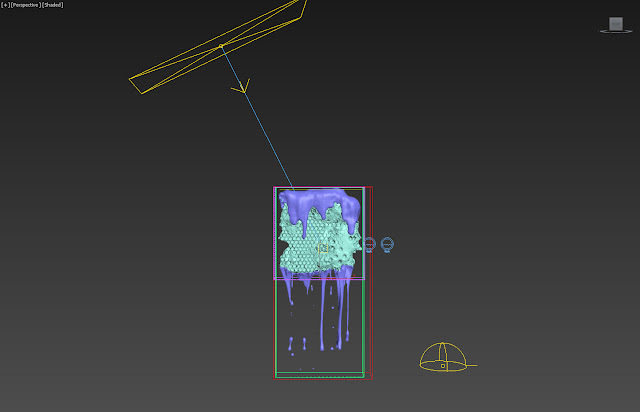 Make sure the two meshes are not solid object so they won't collide with liquid. 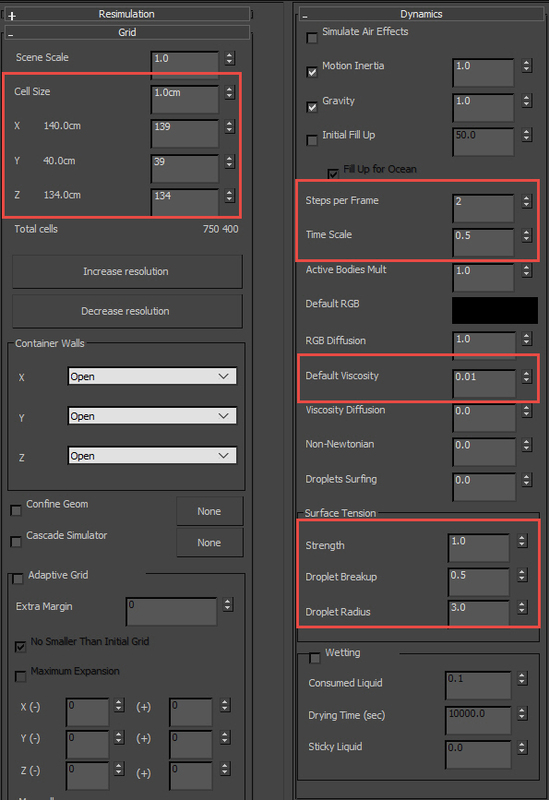 Since we already got the excellent settings for dynamics in step 2. Assign the two meshes (top and bottom) as our liquid sources. Then hit the Start button of the Phoenix Liquid Simulator, and you should have similar results above. 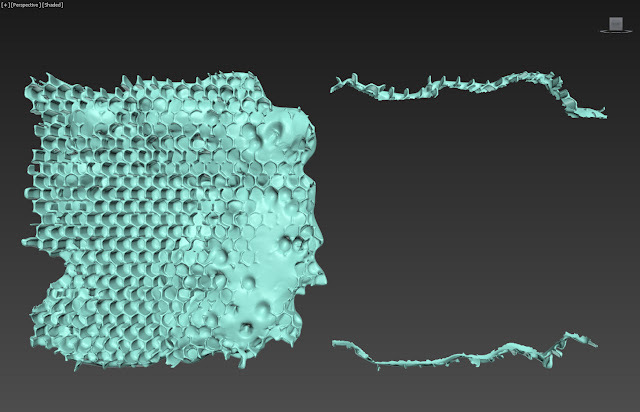 Please noted the 3D honeycomb is 150 X 150 cm, roughly ten times than a real-life honeycomb. Use a little larger geometry can be more comfortable with adjusting a simulation. To make the animation more interesting, I animated the Time Scale and set it from 0.5 to 0.1. 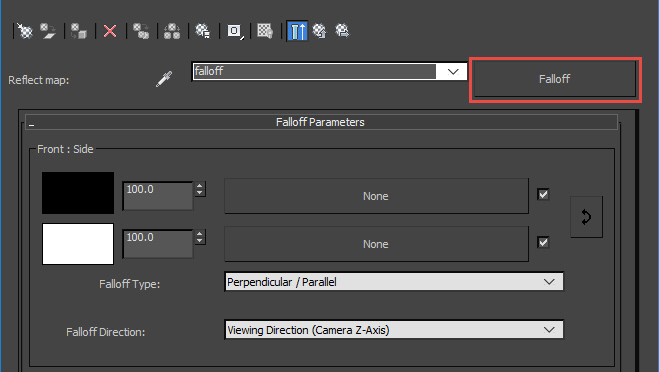 So you will have honey slowing down during the whole animation. Simulate again to see the results. Nothing fancy for the lighting. 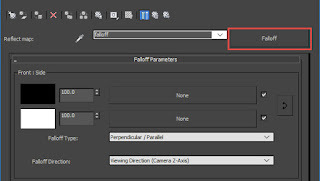 I created one V-Ray Dome Light - HDR plus one VRay - Plane light in the scene. 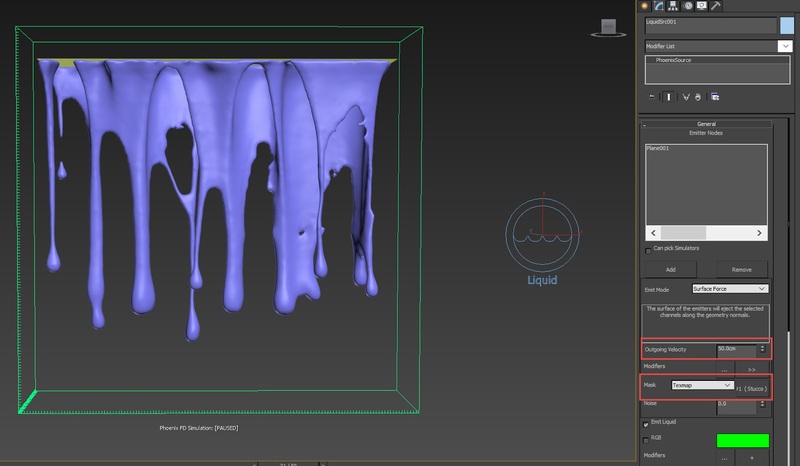 Here are my settings for material for honey, using VRay standard material. Making realistic honey is very difficult. Play around with "Fog multiplier" , "Fog bias" and "Light multiplier" to match your scene. Put a Falloff map in the Reflection slot. Settings as above.